I was recently in a parenting group with several ladies in my church. The group included a single mom who was a criminal attorney, a military mom who’s husband was currently on duty overseas, a mom who homeschooled her four children (two biological and two adopted), and a school security officer. In just one group, I realized how much I didn’t know about the women in my own church. 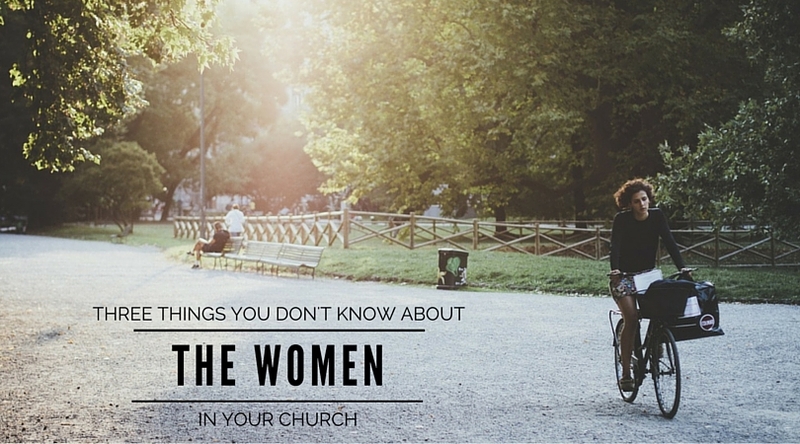 Do you know the women in your church? It might be time to stop and take note. You want the women in your church engaged in discipleship and disciple making. You want them using their gifts to strengthen the church. Women have always played a significant role in church growth over history. The Christian women of today are ready and eager to engage, but is your church ready? This generation of women are well educated and have marketplace experience. Many of the women in your church have already held significant leadership roles either as volunteers in the community or in work positions they have held. Many of them have lived in multiple regions of the country and some even have global experiences. At minimum, they are globally aware. The knowledge and experience they bring to the church is significant. The women of your church care about making an impact in the community, in the schools, in the marketplace. Many are already actively involved. They want to live on purpose and on mission. They are eager and ready to serve. They are busy women with full lives but they want an active and growing faith. The women in your church are a diverse mix coming from many different places with different gifts, different stories, and different faith experiences. They are young and old. Builders, boomers, gen-Xers, and millennials. Black, brown, and white. Married and single. In their faith journey, some are still seeking truth, some new believers, and some have the wisdom of years of spiritual growth. Knowing the diversity is critical to engaging these women in your church. While these characteristics don’t apply to every woman, you should get to know the women in your church. You will be glad you did. How is your church engaging with women today?